Today's review will be from Tony Moly! Everything is pretty much written in Korean. 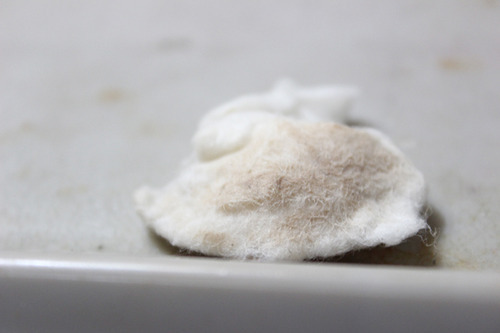 It has this gel-like consistency but is a little runny in nature. It is easy to spread. Can I be any rougher? I'm fully aware that there are other factors that contribute in the darkening of my eyebags like sleeping late or stress, but I somehow expected that it should have at least shown even a bit of difference. 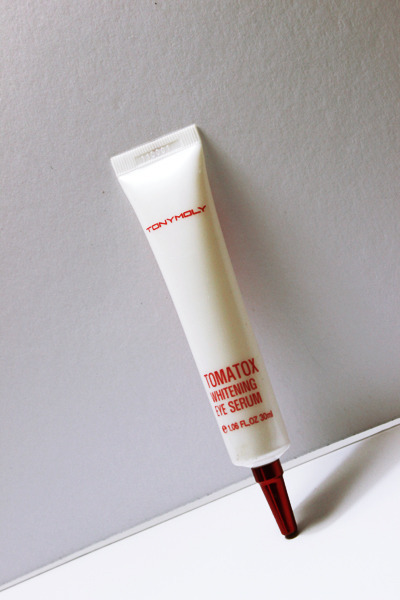 it has tomato extracts, of course its from Tomatox line! sheerness/thickness, whiteness, gray cast (pink undertone), yellow undertone and dispenser (container/packaging). 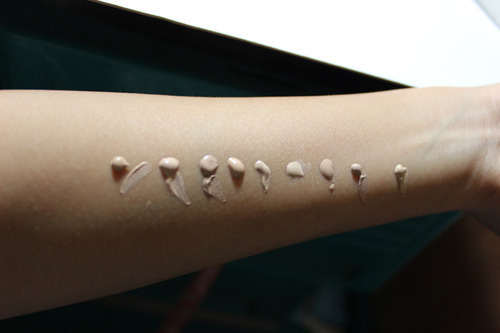 These are the things I consider when buying BB creams. 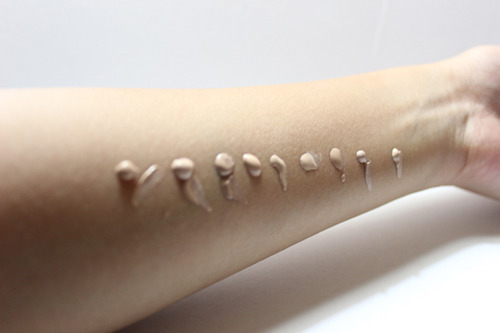 Korean BB creams usually come thick in texture, and the old-school ones or the previous formulas are even balmier in texture hence the name blemish/beblesh 'BALM'. 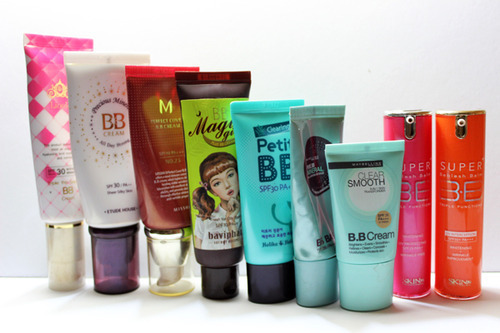 Since the balmy thick texture can sometimes feel a tad heavier on skin, over the years different companies tried introducing BB creams that are a little diluted and more fluid-like in nature. 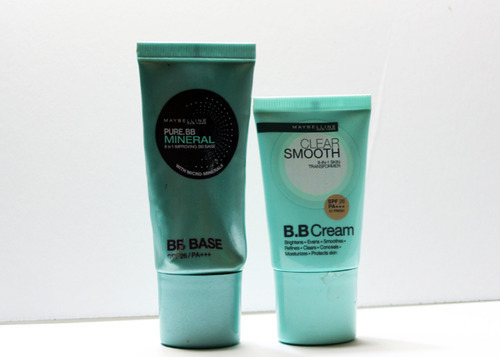 I super loved Maybelline Pure BB Mineral (8 in 1 improving BB base) SPF26/PA+++, back when my skin was sort of free from acne scars or redness, this is my main go-to bb cream, which is also I used as base. (then topping it off with a fine foundation powder). 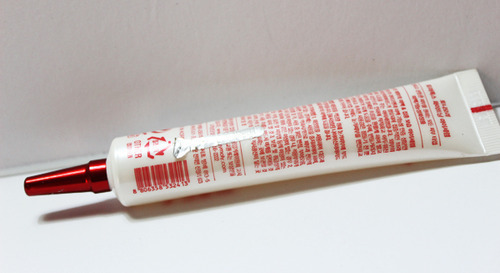 This is my second tube actually (from Japan), then I was almost running out of it, so I tried looking for it here in Manila, not sure if it was just out of stock or was discontinued as I never got to see this again in malls, sigh. Thats when I got my hands on Maybelline CLEAR Smooth (8 in 1 Skin transformer) BB cream SPF26/PA+++ in 01 Fresh. Fresh is the lightest color from its two shade line, but it is still a tad bit darker than Maybelline Pure BB Mineral (8 in 1 improving BB base) SPF26/PA+++. Both of these variants are completely light in texture and sheer. 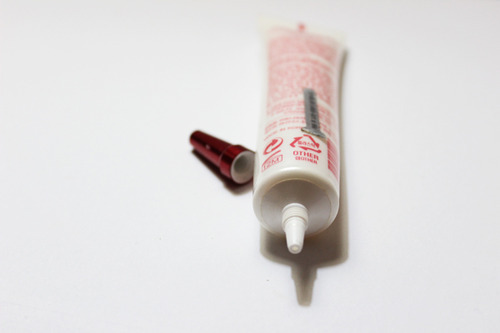 I do not recommend this if you got lots of redness to conceal. But if you're looking for something that doesn't feel heavy on the face, then this is a good choice. 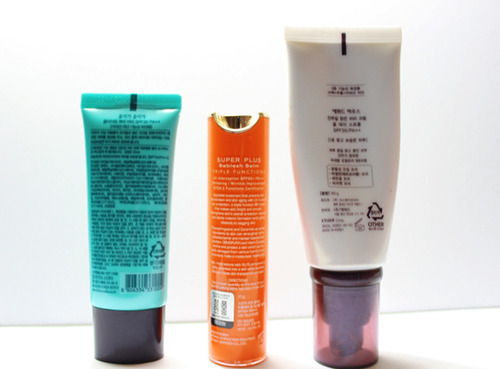 These are my BB creams that are totally very light in color. They could make me look totally terrible and ghostly in photos. 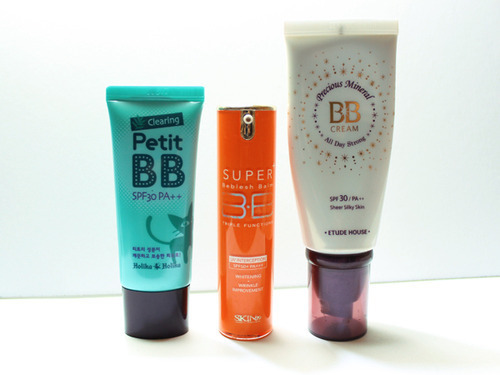 The Skin79 Super+ BB Triple Functions Vita ORANGE BB cream for example has the highest amount of SPF among my collection, it has notable SPF50+! I still do wear it regularly though as it has nice spf protection and it adapts to my skin tone nice enough -due to its yellow undertones. The catch is I have to put on the darkest powder in my kit to tone down the whiteness. 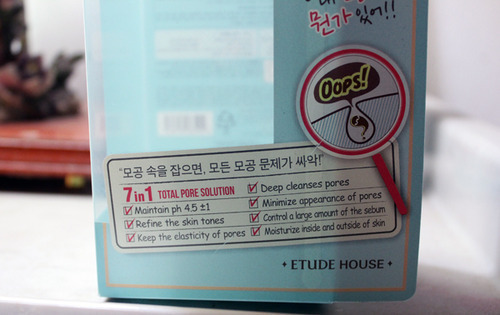 Etude House Precious Mineral All-day Strong Silky Skin - I find it too risky to wear on a daily basis due to its lightness in shade. If my memory serves me correctly, its the lightest in color in All-day Strong line because it is intended for oily skin. Oily skinned and acidic people benefit best from makeups that are one shade lighter than their actual skin tone. 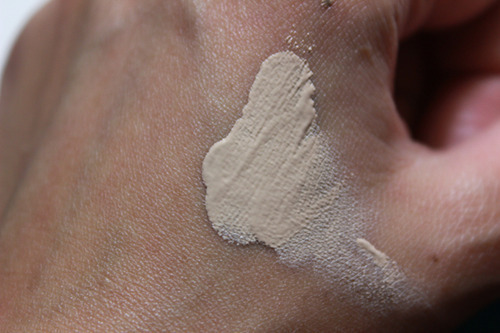 The idea behind is that acidic skin tend to make foundations look darker or orangey after. I've never tried taking a photo yet while wearing Holika Holika Clearing Petit BB, but the very last time I used it, it gave me this powdery finish that I hate, plus its super white too. The only thing I'm thankful for this bb cream is that it doesn't have lots of pink undertones (no pale grayish cast) and it's super matte, it dries up fast. 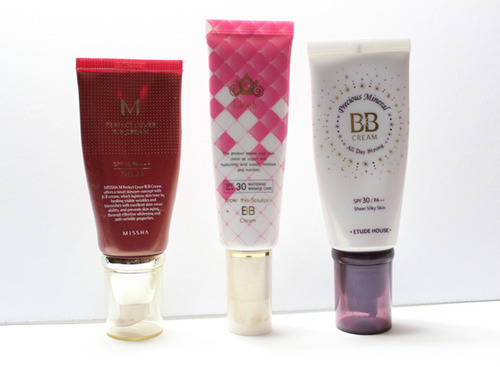 PS: As of writing, Etude House Precious Mineral BB cream has a new line called 'Bright Fit' a new and improved version. 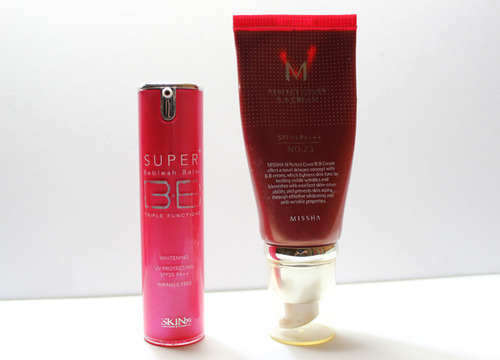 And speaking of gray cast, Missha M Perfect Cover BB cream in No.23 is the first to hit my mind! No.23 is the darkest of the available shades, also touted as 'Natural Beige' but it really never matched my yellowish skintone. 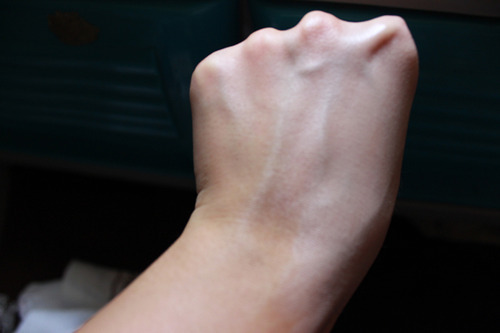 During application, it just seem ashy, and turns even more darker than my skin tone after. Epic fail shade match! Performance wise, this product has won raves from users. I can not attest to its some claims yet (like skin tone lightening, healing visible wrinkles, anti-aging, etc.,) but coverage/concealing-wise this is good indeed. I will surely give this baby another try! 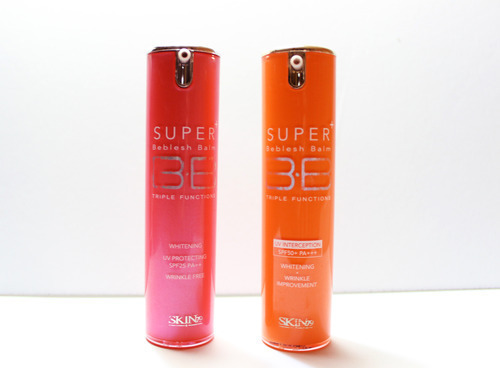 If you're a BB cream fanatic like me, sure the Skin79 Super+ BB Triple Functions HOT PINK will never miss your list. Even though it's included here in the pink undertones category which I consider a con, this is actually one of my fave, highly recommended and overly used BB creams! 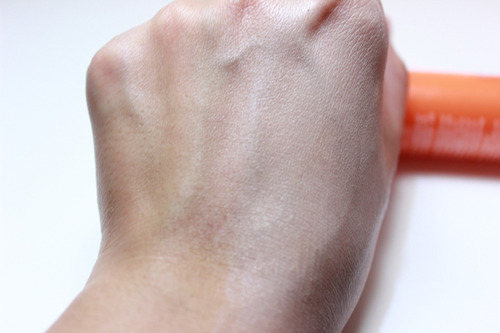 It's a bit ashy-looking during application but it surely tones down after a short while, almost matching my skin tone! And it has nice coverage too. I love it guys, promise. Yay! :D This quality is my most searched for! 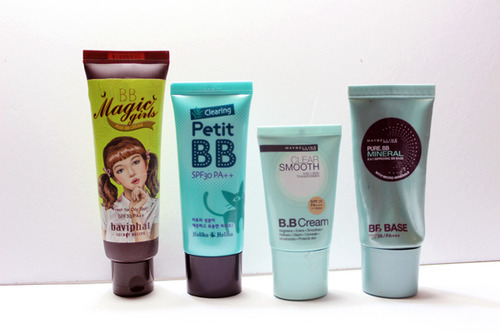 Korean BB creams, most especially the old-school ones were usually thick and very grayish in color, or what most people call pink undertone. The ones with pink undertone of course do not adjust to my skin color very well. So the advent of these yellow undertoned BB creams is really heaven-sent. I love Lioele Triple the Solution BB cream for this! 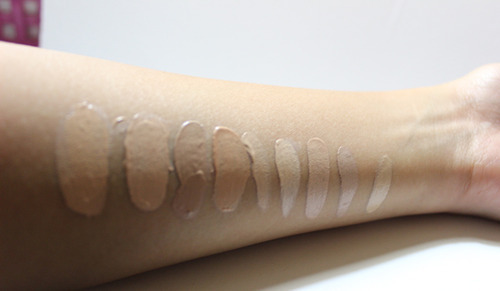 It's one of those rare BB creams that looks perfect on my Filipino skin, thus more natural-looking. 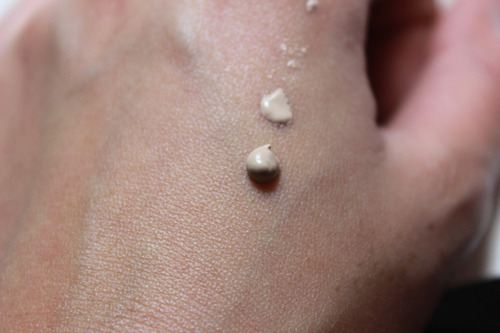 It's intended for oily skin but it is not dull and flat and it gives out a very nice glow too! Good Job! 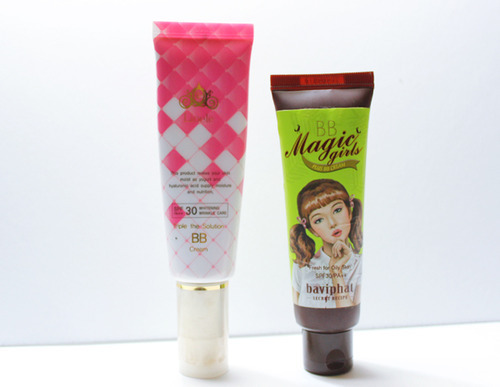 Another darling of my collection is the Baviphat BB Magic Girls Plus BB cream for Oily Skin. 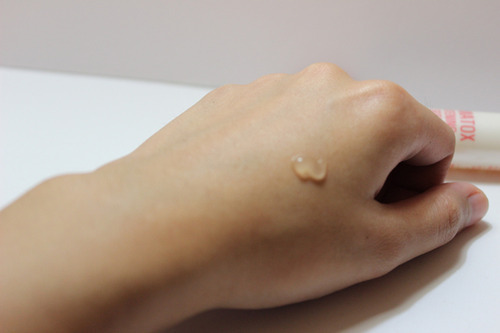 It's even yellower than Lioele Triple the Solution BB cream and a little watery in nature hence easier application. I used to use Baviphat everyday, but just recently, I heard that the company filed a sort of bankruptcy report thingy and rumors are circulating that the company might shut their stores down in S.Korea soon. I yet have to confirm this but please tell me it's not true. I love baviphat! 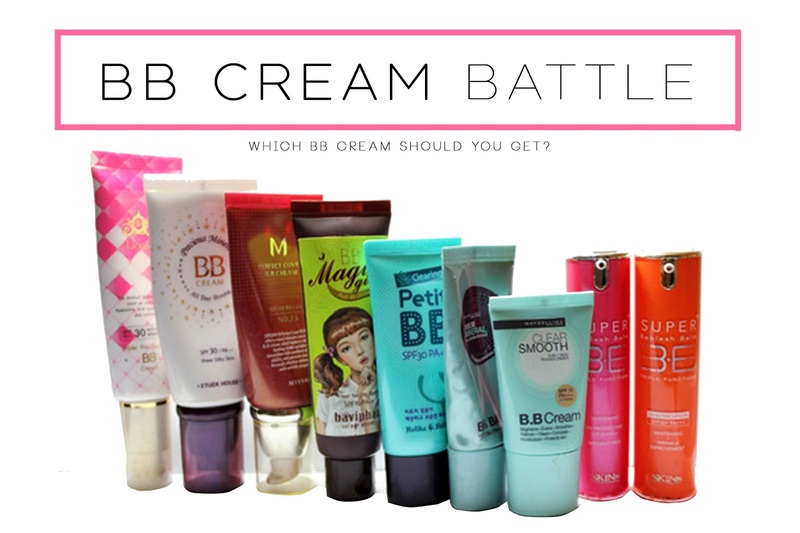 BB creams are known for their pump dispenser, some for functioning perfectly while some for being a total mess. Meh? Speaking of nice pump dispenser, Skin79 has the most stylish container and dispenser ever! And I kid you not, their pumps works perfectly! A single press gives out just the right amount, no product goes to waste here. 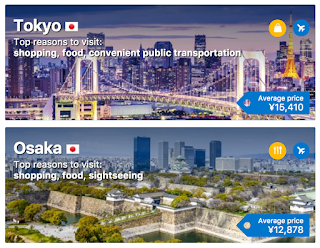 Plus you can easily control the amount you want to use. NO PUMP DISPENSER BB CREAMS! /Ugh! Spillage galore! 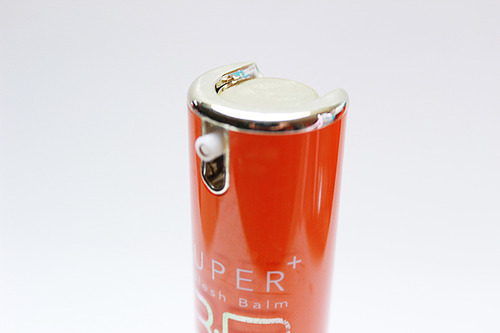 While the Maybelline BB creams having nozzle tip rather than pump dispenser isn't big of a deal. 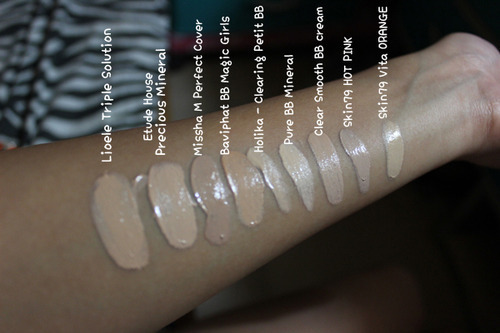 As you can see, Missha M Perfect Cover and Skin79 Hot Pink label have the most grayish undertones, whereas Baviphat BB Magic Girls is the most yellow and the nearest to my skin tone. 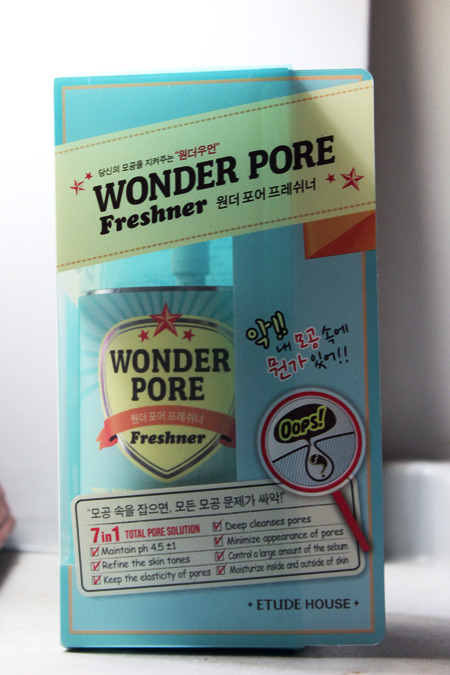 Today I'll be reviewing one of Etude House's highly raved products, the Wonder Pore Freshner 500ml (Php 798). 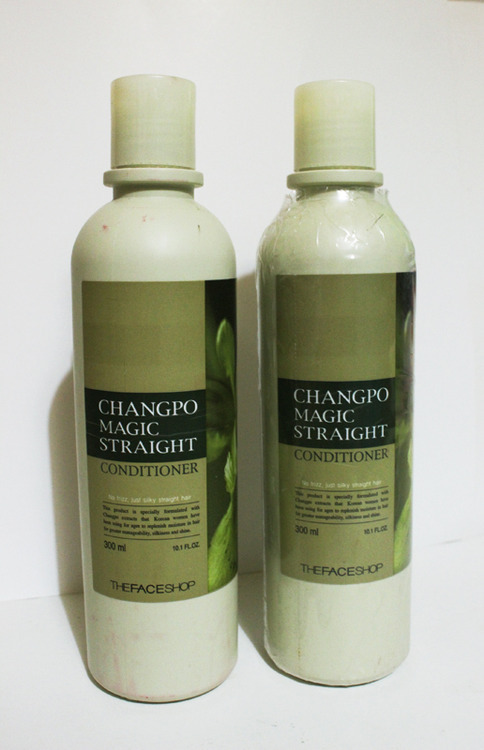 This also comes in 250ml bottle for Php 478! The smaller version (and actually even this bigger bottle) is usually out of stock, I had a hard time to find them both available. So when I got the chance to see this 500ml bottle, I instantly bought it! 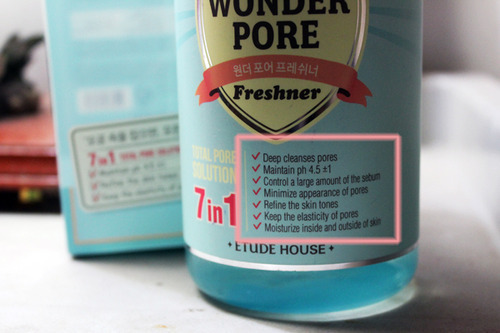 Wonder Pore Freshner is basically a toner, BUT a toner that doesn't sting! It has alcohol content but you can barely feel it. It's like cleaning your face with water, its very mild. The bottle is so big that I still haven't finished half of it even after a month of use. 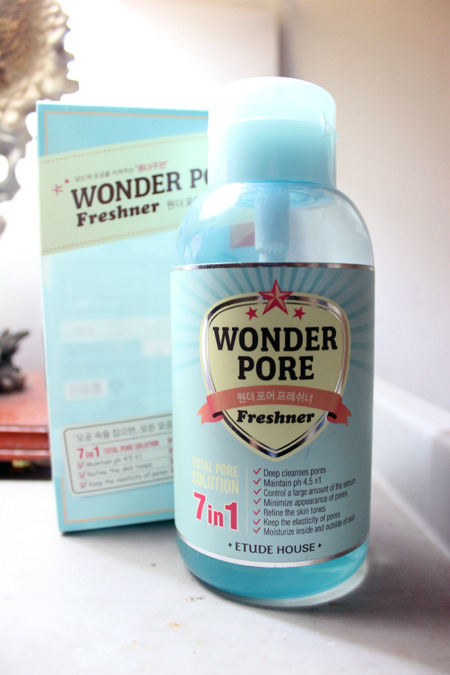 I use Wonder Pore Freshner once to twice a day, twice when removing makeup on, and I tell you, I usually wear make up! Haha! Once: when I didn't wear makeup, I use it during bedtime. Because I'm oily, I do not put too much product during daytime to let my skin breathe naman. A bottle will expire after 12 months (see the icon with an opened lid with 12M written), this will surely serve you long enough. After exactly 1 month and 17 days of using Wonder Pore Freshner. Here's my verdict! I do love the fact that its not matapang, but my former toners performed better in cleaning than this. Probably because they're a bit stingy and matapang in a way that I can't use them near my eyes. Nuhh, it's too big this will probably last up to 6 months I think? And I also want to try different toners that will cater to my needs: oily, semi-sensitive, acne. But, overall, this is a good buy. Bought this two bottles of awesomeness summer of this year. 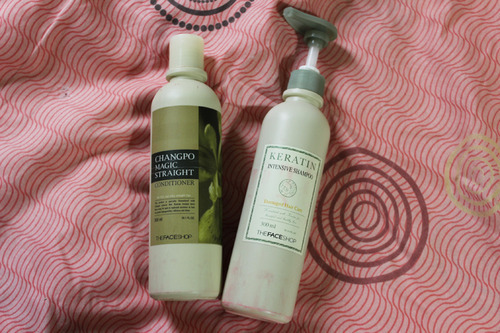 I swear to these two babies, they really helped in taming my dry, frizzy damaged hair (which I got from too much hair coloring). 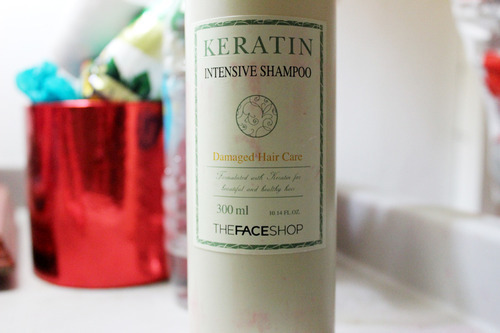 First off, The Keratin Intensive Shampoo 300ml which retails for Php 445.00. Formulated with phytokeratin to replenish lost keratin in damaged hair leaving it stronger and healthier. Aloe extracts relieves the scalp stress that causes hair damage. 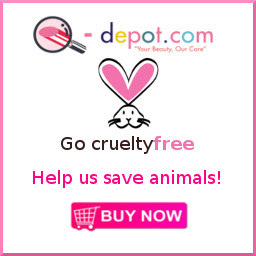 A silk protein derivative repairs damaged hair for added silkiness, bounce and sheen. 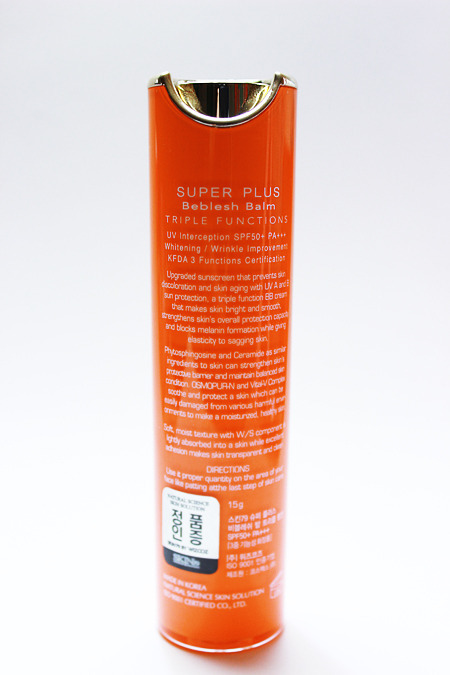 A coconut derived surfactant gently washes away hair and scalp debris. I doubt this comes in smaller bottles. The 300ml bottle has served me long enough, 4 months I believe. 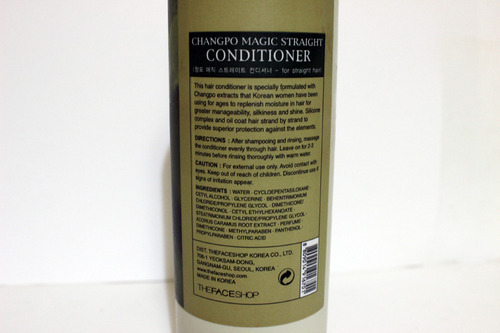 It didn't do a big of a magic, but it worked well with the Changpo Magic Straight Conditioner and helped in taming my frizzy hair. My hair is still not at its best yet but a lot of people noticed the difference of my hair before (especially last year, when it was in its worst state ever) versus my hair now. 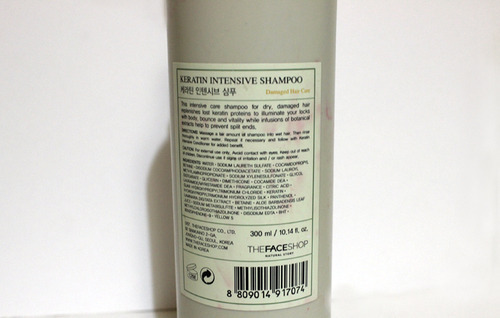 In terms of the smell, it has this familiar scent, most probably the smell of some of the shampoos I've tried in Japan. It's mild though, and tolerable. Yes, unfortunately the price is really steep for a shampoo. Replenish the moisture in your hair for greater manageability, silkiness and shine. 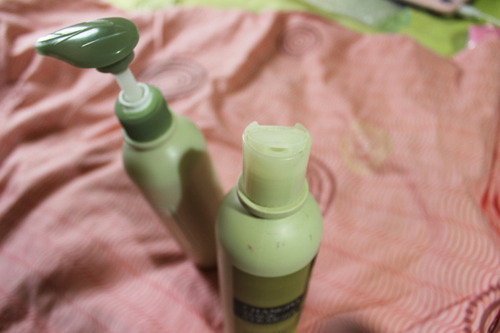 Okay, if you can notice, the bottle's label is almost peeling off, this is because this is actually my used-up bottle. I'm done with the 300ml for almost a month, or just less than a month I think. Oops! Sorry but I really have huge thick hair and I consume lots of conditioner because my hair is terribly dry and my scalp, I don't know, but it dries fast too. I SWEAR! I really love this conditioner so much! 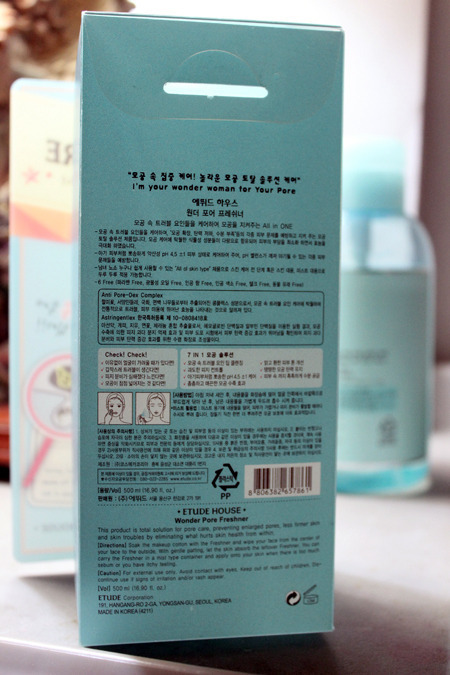 It smells exceptionally good, and it makes my hair soft and it really brings life to it. Although its named "Magic Straight" please be aware that this can not give you an instant "rebonded/super straight" hair in a just a snap. 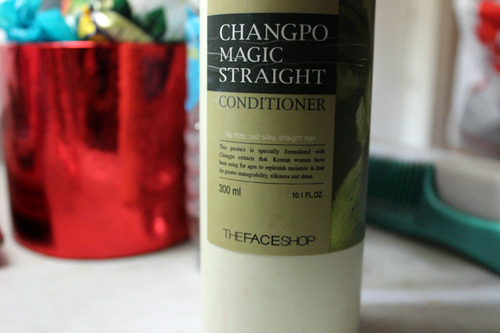 This is more like a conditioner that really conditions your hair! Haha! And not all conditioner have done that to my used-to-be untamed hair. Haha! Again, it does not magically straighten your hair. 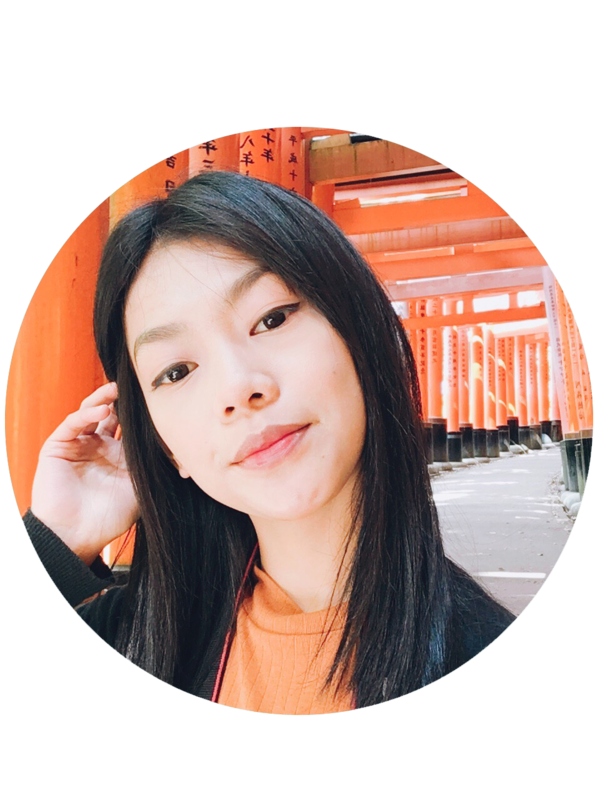 My hair still get frizzy now and then, especially whenever I go to school in Manila, where pollution is the biggest problem. BUT BUT BUT -- it tamed my hair, made it soft and it smells absolutely nice! So I purchased again. My only concern about this product is the price and the amount haha! I mean P355 is still too much for a conditioner especially for a student. But seriously if you think about the quality, it's really worth it guys! And for the content of 300ml, it is already a big amount I know. However in my case, who got this long thick hair, economizing 300ml in one whole month is a big challenge. Haha! 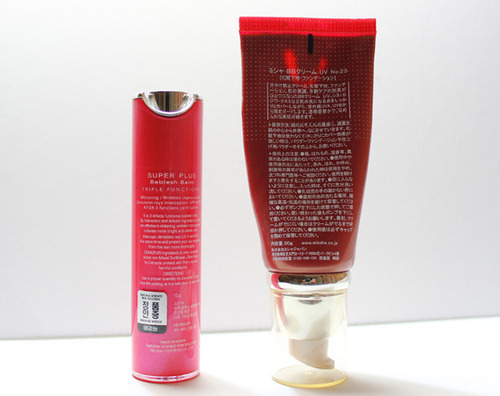 This orange Skin79 Triple Functions BB cream is the improved version of the famous HOT PINK label, with its SPF50+ PA+++ and added vital-V complex for lively and healthy skin. Pretty sturdy plastic bottle with a very unique pump that gives out just the right amount needed. The shade may look like its close to my skin tone because of the lighting, but in reality the shade (available in one universal shade only) is a tad bit lighter and paler than my skin. On the lighter note, Skin79 Super Plus Vital BB cream has good enough 'yellow' undertone in it, instead of the common pink undertone that usually leaves a gray cast. With its yellow undertones, it adjusts to my Filipino skin tone very well. Since I'm acidic, foundations and BB creams tend to turn a bit darker on me after a while. 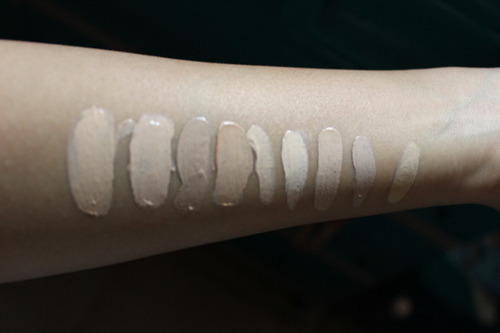 The shade is still not the perfect match even after my face starts to produce oil, but luckily it's no longer that pale and white, and just the right brightening effect that I want. 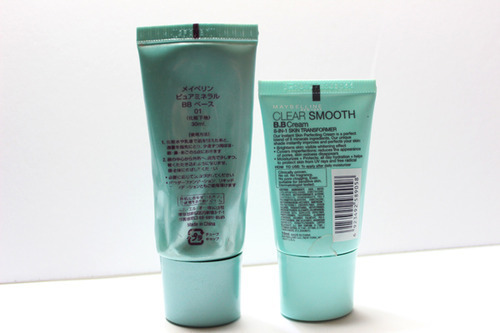 As most Korean BB creams, this one also comes in very thick yet easy to glide texture. 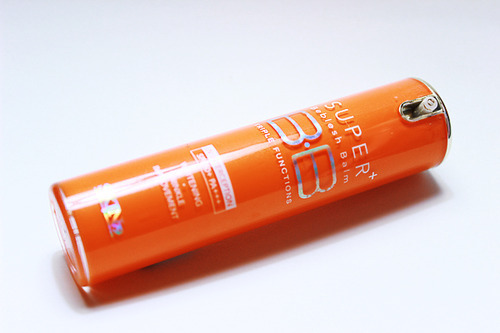 In terms of coverage, Skin79 Super Plus Vital BB cream has pretty good coverage especially for minor blemishes. I had an acne breakout recently so I got these extremely dark reddish to brownish spots on my cheeks, I still look for my concealer to cover them up totally when I'm wearing this. Semi-matte finish. Still leave a hint of glow. When it comes to longevity, this bb cream is not the 'best' yet, but it is fairly good enough to use for 4 to 5 hours considering our climate here, after those hours I know I already have to retouch. In comparison with other bb creams I have, this stays pretty well since I have ones that only last on my face for at least 1 to 2 hours. Ugh! Am I really that oily? Blame this country's tropical weather. Has mild tolerable citrus smell. Really not the annoying type of scent. 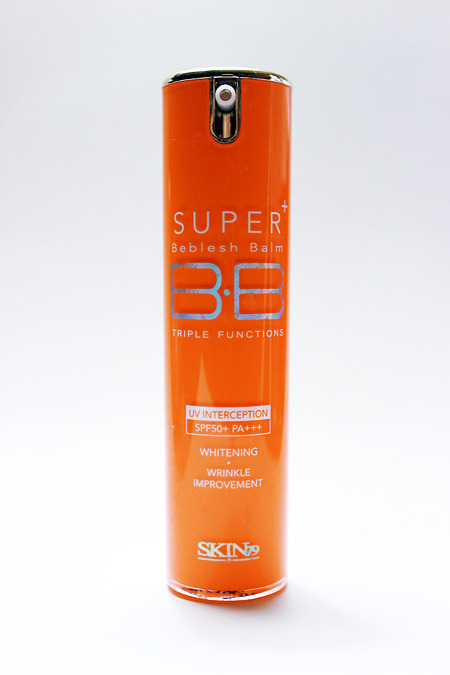 This BB cream comes with a great number of SPF protection, SPF50+ which results to ghostly effect on flash photography! I advise using this when you don't expect much camera flashes like for example, daytime and sunny! (abuse that SPF50+! lol JK) otherwise you'll look terribly awful in photos.